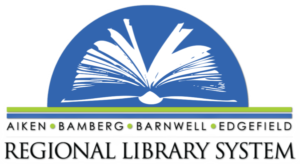 The Aiken-Bamberg-Barnwell-Edgefield Regional Library System provides computers which allow public access to a variety of electronic resources including the Internet to support its role of providing access to information and resources to meet the educational and recreational needs of library users. The Internet contains a wide variety of material from various points of view. Not all sources provide information that is accurate, complete, or current, and users may encounter materials they consider offensive. The Board of Trustees and staff of the library assume no responsibility for any damages, direct or indirect, arising from use of the Internet at any ABBE library. The ABBE Regional Library complies with state and federal law mandating the use of filtering software in public libraries. Adult users 18 or older may request staff to disable a filter on a computer. Filtering software may not be disabled for children or on computers in designated children’s areas. of Internet Page Status form, available at library service desks. ABBE recommends that parents and teens visit www.NetSmartz.org/Parents and educate themselves on Safety on the Internet. Links are available on ABBE Internet PCs as well as the ABBE website. Children are encouraged to visit the www.NetSmartzKids.org website to participate in interactive activities that teach Internet safety concepts. Links are available on ABBE Internet PCs as well as the ABBE website. Users are required to read and accept online this Computer Use Policy before their use of any ABBE computer except library catalogs or Kid’s Computers. Residents of the ABBE service area must have a current library card in good standing to use a computer. They may use only their own card to register for computer usage. Non-residents may purchase a temporary guest card ($1.00 per day) after showing a driver’s license or photo ID. Long-term visitors are encouraged to purchase a nonresident library card for an annual $20.00 charge. Users must observe the designated time limits at each computer. With staff approval, up to two people may be seated at a single computer. Users may access only one computer at a time. Printing must be pre-paid at libraries with print management software. Users may not bring their own paper for use in the library printers. Users may not change hardware or software configurations of library computers. Staff’s ability to assist patrons with computer and Internet use is limited. Staff may end the session of any computer user who violates this policy. Users who commit violations may lose Internet, computer, and/or library privileges. Illegal use may result in criminal prosecution. provided an obstacle or safety hazard is not created. The library is not liable for any damage created by power loss, surges, or brownouts. Wireless access does not include connection to library printers at this time. The library reserves the right to deny service to devices using excessive bandwidth.